Sponsored post: will Brexit cause a rise in domestic holidays? Has the drop in the value of the pound made people more cautious about holidaying abroad? The threat of a hard Brexit has caused the pound to plummet relative to other currencies. After Brexit, British holidaymakers looking to travel to EU countries may have to pay a £6 fee to buy the relevant documentation to gain access to countries within the EU. Coupled with the concern that once Britain leaves the EU, UK citizens will no longer have access to free healthcare has meant that holidaymakers are increasingly looking to spend some time within the island's borders. The number of people who have already booked trips to Europe has fallen from 8.7 million Brits in 2016 to 5.6 million Brits who have already booked for a trip in 2019. In 2015, before Brexit British holidaymakers enjoyed 42 million foreign vacations but escaping the country’s grey clouds and lacklustre summer temperatures to sizzle on a beach in Spain was not always the tradition it is now. Going back to the post-war era and many holidaymakers stayed within the island’s borders and enjoyed the pebbled beaches in Brighton and the bright lights of Blackpool. Those flush with money would consider Devon or somewhere in the South West where there are sandy beaches and the promise of a warmer climate. London remains the most popular place for both British and international tourists to visit but there has been a record 16.5 million visits to areas outside the capital in 2017. 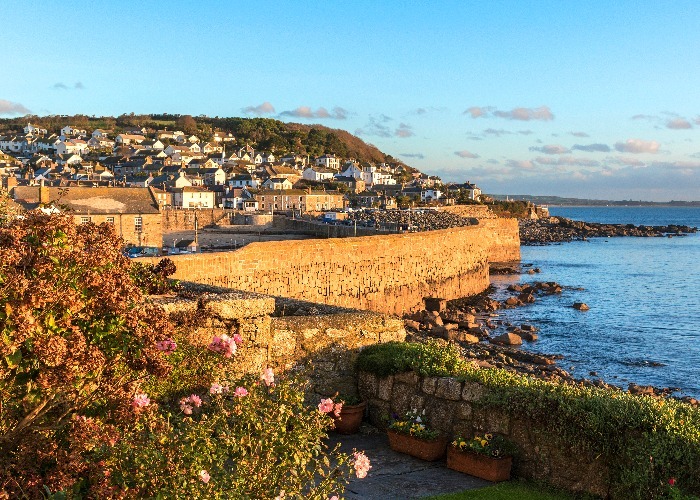 Below are a few places we have found to be popular with British holidaymakers, and they have won recognition for their coastlines and countryside offerings. Tenby is one of the most popular tourist destinations in Wales, due to its coastline, wealth of history and architectural brilliance. Part of the wall that used to surround the town still stands and has proven to be a point of interest to many visitors. Tourism to south Wales and Pembrokeshire specifically has been on the steady increase. In 2011 National Geographic Traveller magazine voted the Pembrokeshire coastline as the second best in the world so it is no surprise tourists are keen to visit the county. Hotel occupancy stands at the highest rate of all, at 68% in 2017 – up from the previous year. Devon is one of the most popular staycation destinations in the UK according to a study conducted by Travelodge. Torquay is the third most popular travel destination according to TripAdvisor, beating places such as Bath and York in terms of the quality of hotels, attractions and restaurants. It is no surprise Devon is loved by British holidaymakers, it is home to some of the most picturesque countryside and miles of sandy beaches. It is also home to Dartmoor and Exmoor National Parks and a host of medieval towns, meaning that there is something everyone can find enjoyable and interesting in the county. It is not just British who are finding the UK an increasingly attractive holiday option, in 2017 a record 40 million international tourists visited the United Kingdom. Overseas travellers are flocking to the island as they can now get better value for money due to the drop in the value of the pound compared to other currencies. Both international and domestic tourists need accommodation when they go away. Now could be an ideal time to invest in hotel rooms for those with capital that is generating minimal interest sitting in the bank. Why choose a hotel room investment? With the uncertainty surrounding Brexit, the pound has dipped in value compared to other currencies. This has meant that more people are taking domestic holidays, and it is now more affordable for people overseas to holiday in the UK. This ensures that there is a strong demand for hotel rooms, and thus investors can expect to achieve a good income. The demand will be sustained as it is uncertain whether it will be as easy or inexpensive for UK nationals to holiday abroad once Brexit has been fully implemented. For those looking to invest in property, a Tenby hotel room investment could be worth considering. A 10% return is guaranteed for ten years as the developer is encouraged by the popularity of the town and promising occupancy levels. Prices start from and buyback options are available from year five at an elevated price. There is also a deferred payment option where investors can offset a portion of their rental income against the entry price, so the outlay would be £54,000. Alternatively, Devon Bay is a hotel room investment in Ilfracombe with an entry point of £54,900. A 9% return is guaranteed for five years. This hotel is already operational and as such, there is no development risk and the opportunity for immediate income is available. Both opportunities are hands-off which means they are ideal for the overseas investor or individuals who cannot manage the unit on a day-to-day basis. Contact One Touch Property today to learn more about these types of hotel room investments and how a sustained demand for UK holiday property will translate into high yields. This is a paid promotion by One Touch Property. The views expressed do not necessarily reflect those of loveMONEY. The information included does not constitute regulated financial advice. You should seek out independent, professional financial advice before making an investment decision.